The term ethylene (ethene) generally brings to mind polyethylene plastics, not fruit. However, ethylene is more than just a feedstock for chemical industry, it is also the smallest plant hormone, and it controls physiological processes, such as the ripening of fruit, seed germination, and the blooming and wilting of blossoms. Now, in new work, American researchers have introduced a highly sensitive ethylene sensor that could be used to determine the ripeness of fruit. 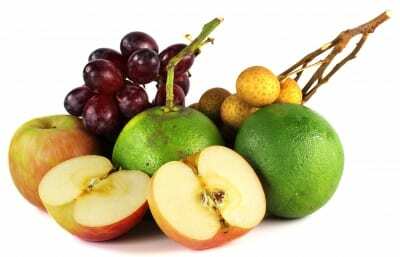 The ripening process of many fruits is triggered when ethylene binds to a specific receptor. Bananas, for example, are usually unripe when they are harvested. They are transported under a nitrogen atmosphere to stop the ripening process and are then exposed to ethylene gas in a ripening facility before delivery. However, they must not be ripened too much because bananas become “overripe” very fast. It is thus important to precisely control the ethylene concentration in storage facilities. It is also interesting to know how much ethylene fruits release at any given point in their development because this could help determine the ideal time for harvest. As a small, nonpolar molecule, ethylene (C2H4) is difficult to detect. Conventional methods are mainly based on expensive, complex instruments that are not well suited for use in the field or in an orchard. Timothy M. Swager and his team at the Massachusetts Institute of Technology (MIT) in Cambridge (USA) have now developed a portable sensor that can reliably measure tiny concentrations of ethylene, such as those released when fruit ripens. Their device is also easy and inexpensive to produce. The sensory element consists of a small glass plate with two gold electrodes. A mixture of single-walled carbon nanotubes and a special copper complex is deposited between the electrodes. The copper complexes bind tightly to the carbon nanotubes. When the sensor comes into contact with ethylene, the ethylene binds to the copper complex, weakening the bond between the copper complex and the carbon nanotube. The electronic properties of carbon nanotubes are very sensitive to the strength of their interaction with the copper complexes. Their electrical resistance changes in relation to the ethylene concentration. The researchers placed different fruit in an airtight chamber and allowed nitrogen to flow through the chamber and over the sensor. This made it possible for them to compare the ethylene emissions of different fruit and to follow the amount of ethylene reduced by a single fruit as it ripened. This revealed a clear ethylene peak during storage of fruits that ripen after harvest, such as bananas, pears, and avocados. The maximum is reached when the fruit is ripe. In contrast, fruit that do not ripen after harvest, such as oranges, release uniformly low amounts of ethylene.